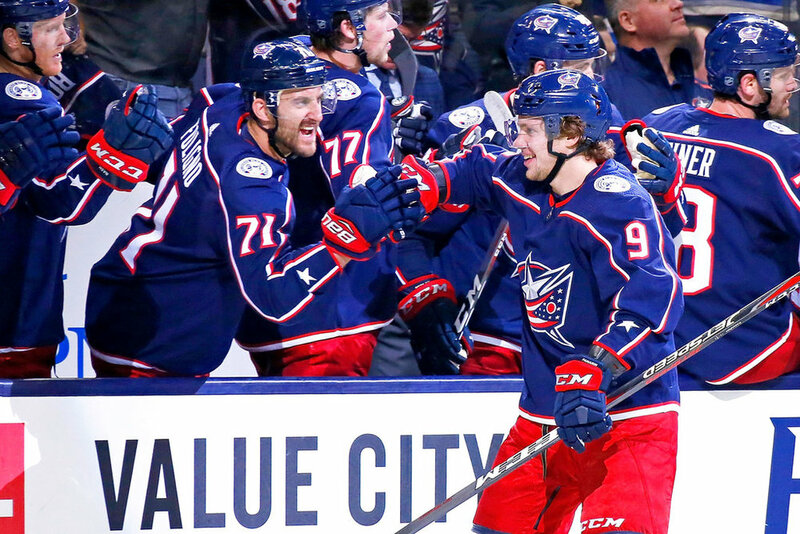 The Columbus Blue Jackets are expected to lose two of their biggest stars as early as this month, but that does not seem to be a distraction for the rest of the team. Left wing Artemi Panarin and goaltender Sergei Bobrovsky are set to become unrestricted free agents July 1 and both seem poised to test the market in the summer. Blue Jackets GM Jarmo Kekalainen has been exploring the trade market and fielding calls and inquiries on both players, and the asking price for each player is believed to be significant. The Florida Panthers are reportedly very interested in both, but may wait until the off-season to pursue them as free agents. Whether the two stars leave or stay doesn’t seem to faze most of their teammates. All the trade noise doesn’t seem to be affecting Panarin or Bobrovsky either, according to captain Nick Foligno. With the trade deadline is less than three weeks away, Panarin remains No.1 on TFP’s Top 30 Trade Watch List, while Bobrovsky sits at No.11.